Back when I was searching for an agent for The Memory Thief, the process seemed daunting beyond belief. My mentor, Caroline Leavitt, told me to query at least 75 agents before I began rending my garments and wringing my hands in despair, and so I did. I had a spreadsheet containing all of my prospectives, complete with other projects they’d taken on and their particular areas of interest, and every time I got a rejection, I evened out the universe’s energy by sending out another two queries. I got lots of requests for partials and a fair amount of requests for fulls, but it wasn’t until I substantially restructured the manuscript that I found two folks who wanted to take it on—including my fantastic agent, Felicia Eth. If Pitch Wars had been around in 2009, I would’ve jumped at the chance to participate. Along with #PitMad, #PitMatch and Pit Madness, I think it’s such an amazing—and creative—opportunity for writers and agents to connect. Here’s Heather Cashman, assistant to Pitch Wars founder Brenda Drake, on all things #pitch. Q: What is Pitch Wars all about? When did it start, who founded it, and what was their inspiration? 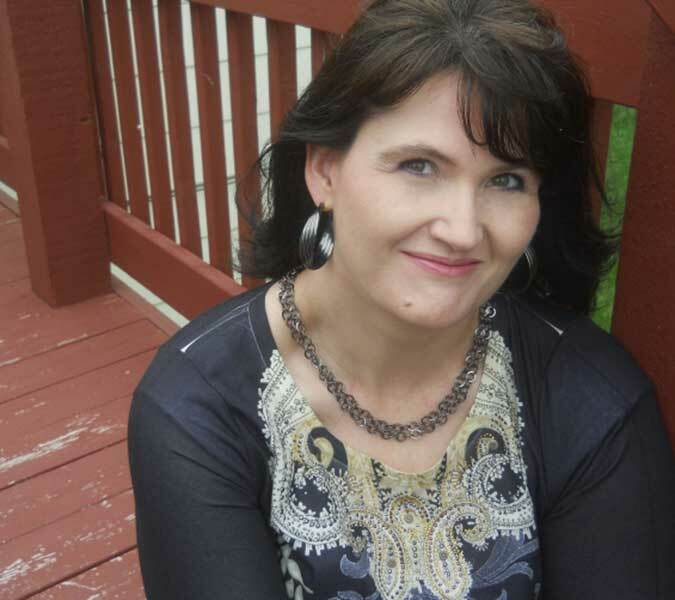 A: Pitch Wars was founded in 2011 by author Brenda Drake (Thief of Lies, Touching Fate) when she was searching for a writing community to support and improve her own writing. She’s not the first to have a contest, but what made Pitch Wars unique was the idea of improving the whole manuscript to make it as polished as possible for agents. Q: How does the Pitch Wars process work? Please walk us through it from a prospective participant’s perspective! A: The Pitch Wars Hopeful must have a completed manuscript and query letter to enter the contest. Signing up for the blog is the best way to stay informed on upcoming events throughout the year. Mentors are chosen by May, and are announced with links to their Twitter accounts so prospective applicants can begin to follow the mentors, get to know them, and interact. In June and July, we run workshops to help applicants improve their craft. At the end of July, the mentor Blog Hop begins. Mentors put up their wishlist posts on their own blogs, and Pitch Wars hopefuls can go and find mentors whose taste/preferences fit with their manuscript. They choose four mentors to apply to. When the submission window opens, the applicants fill in the form, uploading their query and first chapter. After the submission window closes, it’s the waiting game. Much like submitting your query to an agent, the mentors read every submission and decide which manuscript/mentee they want to work with for two months. Mentors may request partial manuscripts or fulls. Some fall so in love with a first chapter that they take it on no matter what the rest of the manuscript looks like. The list of chosen manuscripts and mentees goes up at the end of August. During September and October, the manuscript is revised. The mentor also helps the mentee create/refine a pitch. How this is done depends solely upon the mentor and mentee, but it’s a lot of hard work! In November, we have the Agent Showcase. Each team has 500 words. They can use as many words on the pitch as they want, but the longer the pitch, the less words of the actual manuscript. (Example: 50 word pitch & 450 words MS; or 35 word pitch & 465 word MS.) Agents view all of the samples and request partials or fulls of the ones that interest them. Voila! Q: Twitter seems to play a major role in drumming up enthusiasm and creating a wave of support/involvement for Pitch Wars. Can you tell us a little bit about this, including the #PitMatch and #PitMad Twitter pitch parties? How does Pitch Madness work? A: Twitter is our communication platform. Using the #PitchWars, we can send out messages to the community. Search the hashtag anytime for the latest information or to find the mentors. Most of them include this hashtag in their bios if you want to search the Accounts on Twitter to find them. It’s also a way for hopefuls to find others who write in similar genres and age categories. #PitMad is when you have a 140-character pitch with additional hashtags for genre and age category. Agents search with those specific hashtags for pitches, and “like” (or mark the heart) for any pitches they like, which is equivalent to a request. 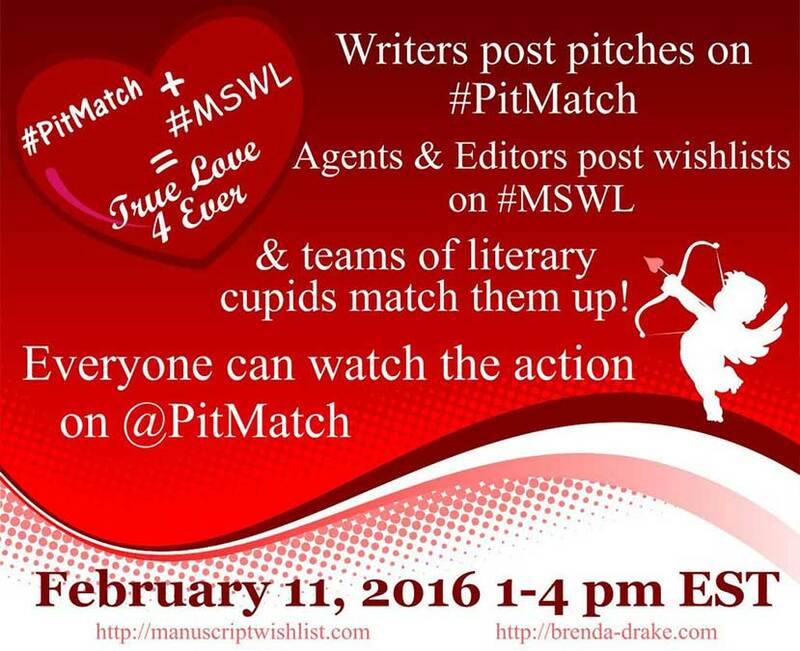 During #PitMatch, agents tweet their wishlist, and three teams of literary cupids–an author team, an agent team, and an editor team–work to find the connections between authors, agents, and editors who accept direct submissions. Each match request they create is worth one point–and posted on the @PitMatch (a Twitter account) scoreboard. Follow along on #PitMatch, #PitMatchArrow, and #PitMatchPoint for success stories. Whichever team has the most requests gets prizes and bragging rights! Pitch Madness is a contest held every March, where writers enter for a chance to win requests from the participating agents. Writers submit a 35-word (max) pitch and the first 250 words of their completed manuscript on submission day. Then a team of readers chooses the top sixty entries to go onto the agent round. The agents play a game against the other agents to win requests for more pages of their favorite entries. The best played agent request wins either a partial or full manuscript read of the entry. The game for Pitch Madness changes each event. We’ve played poker, paintball, darts, Monopoly, and 2016 was Mario Kart! Q: Who is eligible to participate in Pitch Wars—and how do you know when your manuscript is ready? A: Anyone who has a complete manuscript and is un-agented is eligible. Some contestants have had agents and even been previously published, but that shouldn’t discourage you. The vast majority of mentees chosen are debut authors. Your manuscript is ready to enter as soon as it’s done. The more polished it is, the better. Have CPs and friends and enemies read your book. Revise it to the best of your abilities. But since Pitch Wars is free, it can’t hurt to enter. Q: Who are the Pitch Wars mentors—and how do you apply to become one? 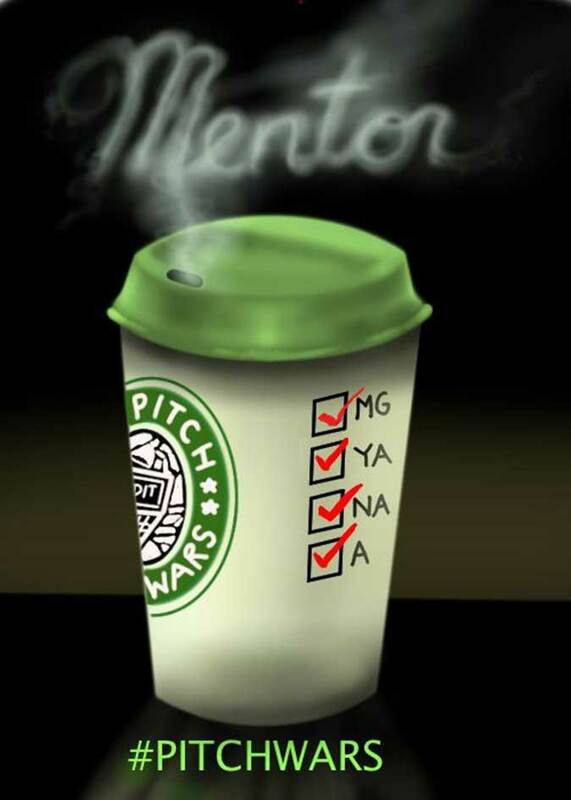 A: The Pitch Wars mentors are agented and/or published authors, agent interns, and editorial assistants. They come from every genre and age category. You can apply using the Pitch Wars Mentor Application Form. Q: Building on the last question, what’s the mentoring relationship look like? Goals? Responsibilities? Time commitment? A: The mentoring relationship is as diverse as the mentors themselves. Some mentors do everything by email, others use the phone. Some Skype/Facetime with their mentee. Many mentors still CP with their past mentee, while others stay friends. The goal is to polish the manuscript well enough that agents will offer representation. As an applicant to Pitch Wars, you will be expected to revise you manuscript and put in the effort and time required to get it in shape. The time commitment depends on how much work the manuscript needs, so it’s impossible to judge. Q: What’s the Mentor Bio/Wishlist blog hop all about? A: The Bio/Wishlist Mentor Blog Hop is the way Pitch Wars hopefuls get to know the mentors. We use Mr. Linky so that you can go to the bottom of every mentor’s blog and just jump to the next one. You can hop to all the mentors’ websites/blogs to read their bios, wishlists, and what categories and genres they want to mentor. This year we did a special giveaway—a Scavenger Hunt! If you filled in the quote using the letters from each mentor’s post, you are entered into a drawing to win a mentorship (random drawing) from Shanna Rogers for MG, myself (Heather Cashman) and Brenda Drake, co-mentors for YA, and E.L. Wicker for A/NA. And there’s still time! The Scavenger Hunt Giveaway runs until August 24th. Q: Why do you think Pitch Wars has become so popular? What value does it offer the writing community—for mentees, mentors, agents and publishers? A: I don’t even have to guess at this one. I work with the agents and their responses say it all. The manuscripts that come out of the Pitch Wars process are excellent. Industry professionals spending two months on the manuscript make it stand out. Not only does Pitch Wars produce stand-out manuscripts, it teaches the writers how to edit, the process of working on a deadline, and so many other things that prepare them for life as a published author. As a whole, Pitch Wars is raising the quality of literature and also saving time for agents and editors who don’t have to search through slush to find a polished manuscript. For the writing community, it offers just that—a community. Participants who don’t get in meet others online who they can commiserate with, CP with, and learn from. And the mentors are really good about answering a lot of questions via Twitter, so it’s a place writers can go to for advice. Q: How do you define a Pitch Wars “success”? I know that the ultimate goal is to secure an agent and book deal . . . but are there other, more intangible accomplishments that you hope participants will achieve? A: The traditional Pitch Wars success is the agent and book deal, and that usually happens to more than 50% of our applicants. But success goes far beyond that. We have a lot of success stories that come later because the author learned so much about the process but just took more time to revise than two months. There are the successes of simply getting chosen. It’s a great success to have written a manuscript at all! A lot of writing and editing is done preparing to enter Pitch Wars. That is success. Finding the encouragement to continue with your writing from others in the community. Having the courage to let someone else edit your manuscript. Filling out the Pitch Wars form ;). These are all successes! Don’t let the goal of a big success keep you from recognizing those small wins along the way. Q: Are there any burning questions about Pitch Wars that I didn’t ask? If so, please answer them here! A: Burning questions about Pitch Wars, we get them every day. You can ask questions via the Contact form on the Making Connections Blog. 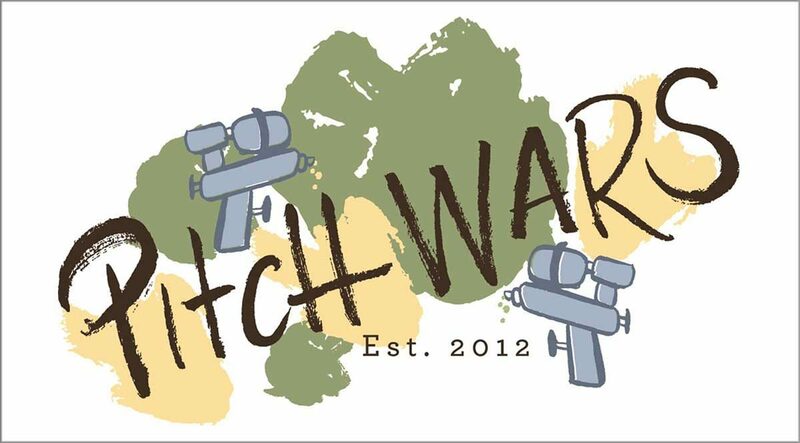 I’d also like to mention that Pitch Wars will be moving to its own site at pitchwars.org by 2017. If you are subscribed to the current blog, you’ll be able to get all the information about that when it happens. We are expanding to have forums, agent, editor, and mentor workshops and critiques, and even planning retreats with mentors, agents, and editors as well. We’re excited to grow the Pitch Wars community, and your donations are making that possible. So, thank you! 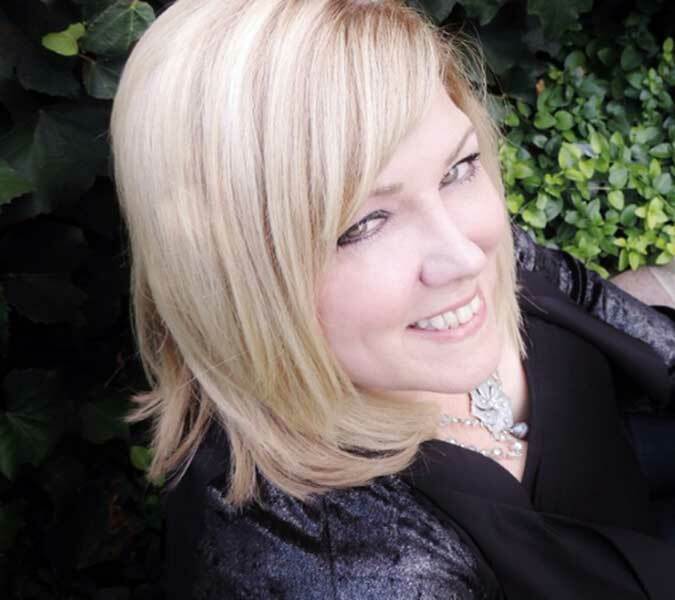 BRENDA DRAKE, the youngest of three children, grew up an Air Force brat and the continual new kid at school until her family settled in Albuquerque, New Mexico. Brenda’s fondest memory growing up is of her eccentric, Irish grandmother’s animated tales, which gave her a strong love for storytelling. So it was only fitting that she would choose to write young adult and middle grade novels with a bend toward the fantastical. When Brenda’s not writing or doing the social media thing, she’s haunting libraries, bookstores and coffee shops or reading someplace quiet and not at all exotic (much to her disappointment).